The days of websites hosting nothing but still images are well behind us, consigned to history by the rapid expansion and much improved speeds of broadband. As the ability has arrived for viewers to watch video content either through their computers or mobile devices, companies are increasingly incorporating video into their marketing strategy. One of the ways to do this is by investing in a top-quality ‘About My Business’ video that sits on the home page of your website. It can introduce your business to the visitor in a way that mere text and images cannot. A video on your website described and hosted in the right way will drive more traffic to your site. For example it will rank higher in search engines such as Google (which you would expect as a consequence of Google purchasing YouTube in 2006), and it will make your site more sticky – people will stay on your site longer. its entirety – out of curiosity, if nothing else. ‘About My Business’ videos are already well established in the US and are becoming more popular here in the UK. They should be quirky, captivating and highly watchable videos that give a potential client a visual experience of what to expect from you and your business. About My Business Video is part of Professional Excellence Consulting, the Business Development and Marketing company started by Michael Brook in 1999. 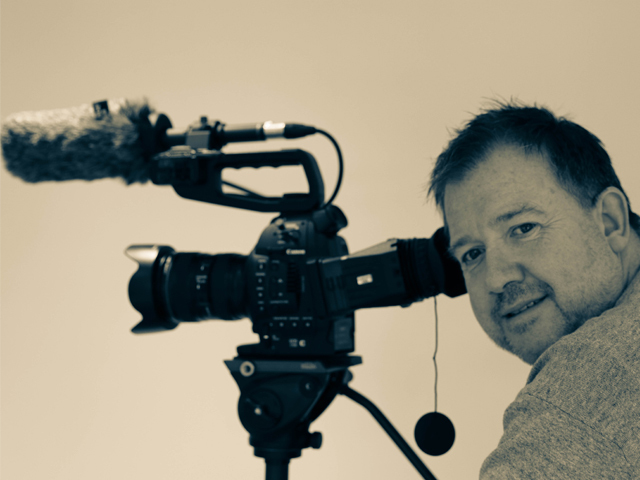 Now based in North Norfolk, About My Business Video specialises in affordable film making – video for smaller businesses who don’t want or need that mega budget production. We work closely with our clients to get to know their business, using our marketing and creative skills and the latest production techniques we create engaging promotional videos telling your story, with your enthusiasm and your passion, that potential clients will find compelling. We give our clients so much more than a video, our real business experience, means that, we can provide a consultive relationship adding so much more value to the client than just creating a film. Our clients will tell you… we can be invaluable to their business, in the way we add value through out the process and beyond. Here’s what Ed Morgan-Evans of Saracens Automotive has to say about his experience of About My Business Video and working with Michael and the team to create a business video for him. About My Business Video is a small team of professional and creative individuals dedicated to helping you to communicate your message through cost-effective video production, to engage your clients visually and emotionally. Together we can put your business in the spotlight. Here’s what Martin Miller of Websmart Design Studio has to say about his experience, and his website client’s experiences, of About My Business Video and working with Michael and the team. …so get your website working harder for you with an ‘About My Business’ video.